Catch Me If You Can A true story about Frank Abagnale Jr. who, before his 19th birthday, successfully conned millions of dollars worth of checks as a Pan Am pilot, doctor, and legal prosecutor. An FBI agent makes it his mission to put him behind bars. But Frank not only eludes capture, he revels in the pursuit. The Pursuit of Happyness A struggling salesman takes custody of his son as he's poised to begin a life-changing professional career. 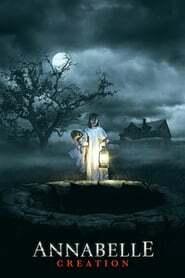 Annabelle: Creation Several years after the tragic death of their little girl, a doll maker and his wife welcome a nun and several girls from a shuttered orphanage into their home, soon becoming the target of the doll maker's possessed creation—Annabelle.